Last edited by deanjo; 10-01-2008, 04:03 PM. I'm looking forward to see how PTS results would be. Last edited by deanjo; 10-01-2008, 04:09 PM. I can't speak for the second comment, but the first comment includes (very) old results with an early stepping, so be careful with your conclusions. But the reduced power consumption is pretty amazing to say at least. I wouldn't say two months is all that old. 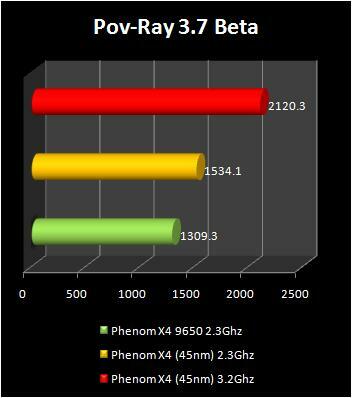 What's being measured in the POV-Ray benchmark? Pixels per second? That's impressive, but he's running it at 1.6v on a 45nm process. I wouldnt run a 90nm chip at that voltage let alone a 65nm chip or even worse 45nm. He probably disabled every service that he could, then booted it up, and started cpuz then took a snapshot as fast as he could before it locked up on him. 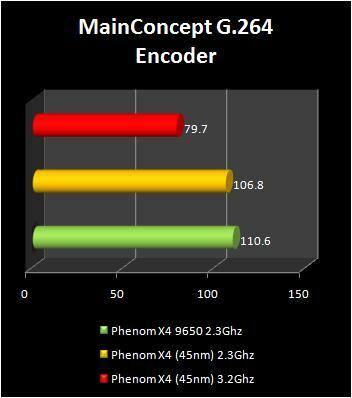 Still though If it runs at 3.4ghz or 3.5ghz on air at reasonable volts and temps that would be mighty impressive. From the looks at that snapshot it may well be possible to do just that. Any benchmarks on the compilation times in Gentoo ? i would be nice to include how many watts that using. 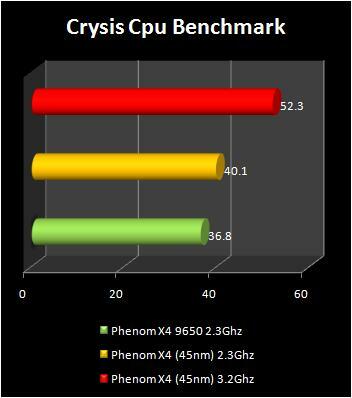 i know some users dont mind power wasting cpus but i am interested in power saving cpus. or at the least proceesing power / watt. and idle power usage. While I can appreciate the "green" concern, truth is that you will probably save more per year changing 2 incandescent bulbs over to led or florescent in your house then picking a 65 watt over a 125 watt processor. 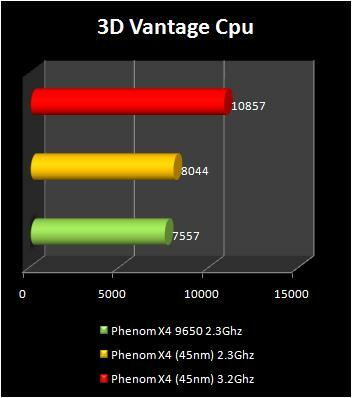 Performance per watt is also very determinant on the software you are running and their optimization for a particular processor. There is also other factors to consider as well such as logic chipsets as well. While the savings can be huge in a server farm / data center scenario where systems operated under heavy load 24/7, chances are in 2-3 years you will be swapping out the system anyways and the savings to be had by a lower power consumption processor will be lost by the extra initial purchase price of the lower consumption processor.